I was sorry to hear that Morgan Valley Lamb—which produced the highest quality, naturally-raised lamb for restaurants and local markets—is going out of business. The closure is a result of a decision to sell the property by the nine cousins who own the 10,000 acres of northern Utah grazing land. Morgan Valley Lamb owner Jamie Gillmor simply couldn’t come up with the money to buy the land, so “selling was the only option.” Morgan Valley Lamb had been in business for over 10 years and was a favorite supplier to many of this area’s best chefs. On May 12, from 5:30 to 9 p.m., the sixth-annual The Union of the Birds & the Bees event will take place at Ogden’s Union Station (2501 Wall Ave.). Beehive Cheese Company, Union Grill and Roosters Brewing Company will team up once again for a special evening of food and libations to benefit the Union Station Foundation. Beehive cheesemaker Tim Welsh, Roosters brewmaster Steve Kirkland and Roosters chef and owner Pete Buttschardt will collaborate to offer culinary delights prepared with award-winning Beehive cheese. Roosters will serve a selection of their popular brews such as Bee’s Knees Honey Wheat, Junction City Chocolate Stout, Diamondback Ale and Polygamy Pale Ale. In addition, the Celtic rockers Pladdohg will fill the Union Station’s Grand Lobby with live music. “We invite everyone to attend this unforgettable evening and support a cause that is a historic landmark,” says Roosters owner Kym Buttschardt. Tickets are $50 per person and are available online at BeehiveCheese.com and RoostersBrewingCo.com; they may also be purchased at Roosters locations, Beehive Cheese and Union Grill. 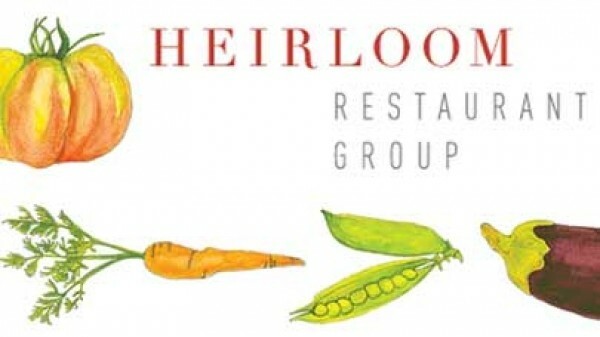 Heirloom Restaurant Group is the Provo/Orem-based restaurant group that includes Pizzeria 712, Communal, Mountain West Burrito and Heirloom’s Cafeteria Company and Catering Company. Since its inception, Heirloom has supported local producers such as meat providers, farmers, specialty-food purveyors, artists and such. Now, they’re taking steps to support local music, as well. This summer, Heirloom Restaurant Group’s Catering Company will be donating the food for artists and volunteers at this summer’s Rooftop Concert Series. The series takes place in downtown Provo at 100 South and 100 West, and concerts are free and open to the public. According to the folks at Heirloom, supplying food for the Rooftop Concert Series “fits perfectly with our mission of using local talent and local ingredients to nourish the community.” Visit HeirloomRestaurantGroup.com for more information.